This is a condition in which an individual feels a loss of sensation or feeling in hands or fingers. Hand numbness usually arises due to damage, irritation or compression of one of the nerves or even a branch of one of the nerves in your arm or wrist. This numbness is often accompanied by a pain like pins and needles, tingling or burning. The hand and fingers may also feel weak or clumsy. 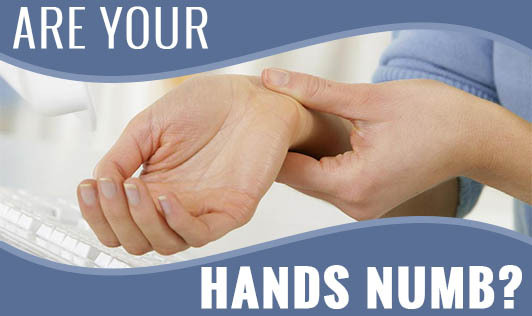 If numbness persists or spreads to other parts of your body, consult with your doctor for an evaluation. Treatment for this condition depends on the underlying cause.